Makers of Topps Seal® ... with benefits that you can bank on! 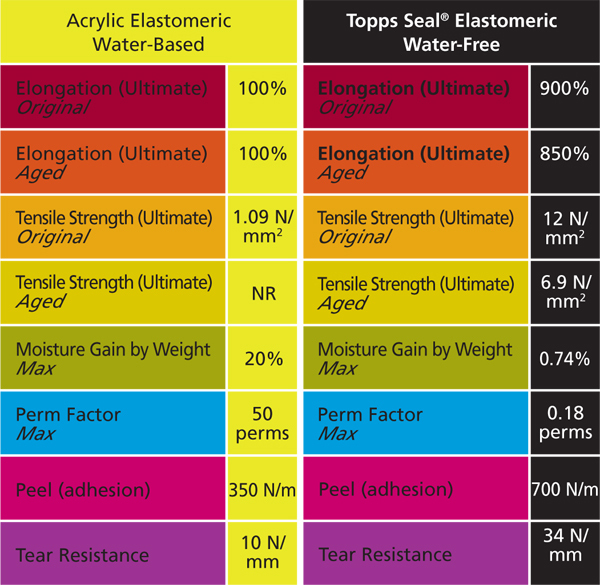 Compare the physical properties of our water-free Topps Seal® to any water based acrylic you may be offered. Once you do, you too will agree that only Topps Seal roof coating provides you maximum features to protect. It is where value and your best protective option intersect. and economy with white over most finishes. Colors may require a 2nd coat. The ability to hold together and avoid breaking. Capacity to absorb (water) vs. protect. Resistance to moisture passing through the coating. A lower number shows greater moisture resistance. 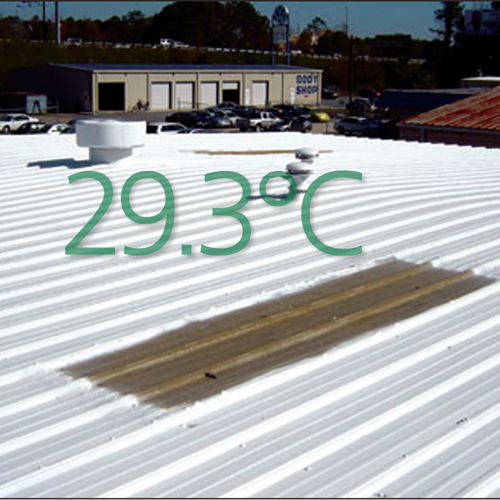 The comparative ability of the coating system to remain adhered to the roof surface under adverse conditions. 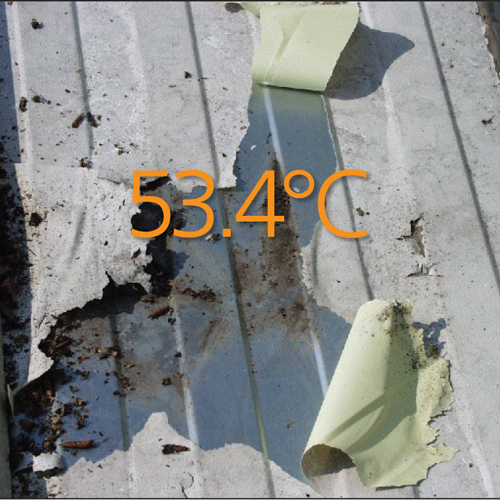 The higher the tear strength the greater resistance to withstand minor defects caused after installation, such as roof movement and foot traffic.